Voluptuous, juicy and versatile, nutrient-dense tomatoes are a staple of Italian cuisine. Yet three centuries after the tomato was introduced as an (inedible) ornamental plant in the 1500s, many Italians still regarded the tomato with suspicion and as a food fit only for peasants. It wasn’t until the late 19th century that the tomato found its way into popular dishes such as pasta al pomodoro (pasta with tomato sauce), and pumarou a gratte (Sicilian-style stuffed tomatoes). 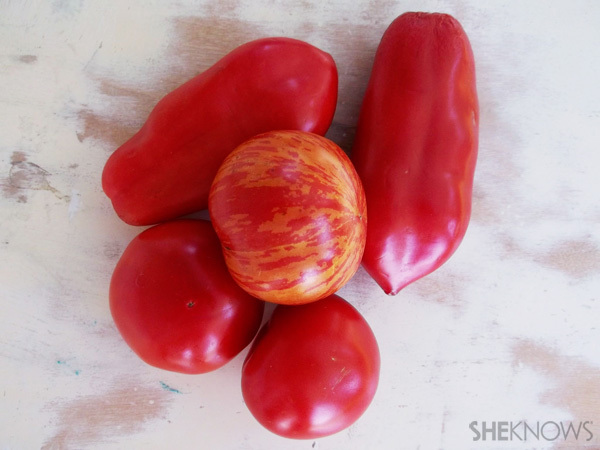 Botanically, the tomato is actually a fruit (of the plant Lycopersicon esculentum). Along with potatoes, peppers and eggplant, tomatoes belong to the nightshade (Solanaceae) family of vegetables. Nightshades often contain alkaloids (naturally occurring chemical compounds consisting mostly of basic nitrogen atoms), some of which are potentially toxic. While many people can tolerate alkaloids, highly sensitive individuals may experience an adverse reaction after eating nightshade vegetables. Although native to western South America, the tomato (likely the yellow variety) was initially domesticated in Mexico, first by the Mayans, then the Aztecs. Following Cortez’s conquest of Mexico, tomato seeds made their way back to Europe and into gardens as ornamental plants — ones that were not eaten. In the United States, the tomato is the fourth most popular market-fresh vegetable, after potatoes, lettuce and onions. According to the USDA, there are roughly 25,000 tomato varieties, and the average American eats 22 pounds of tomatoes a year, mostly as ketchup and tomato sauce. 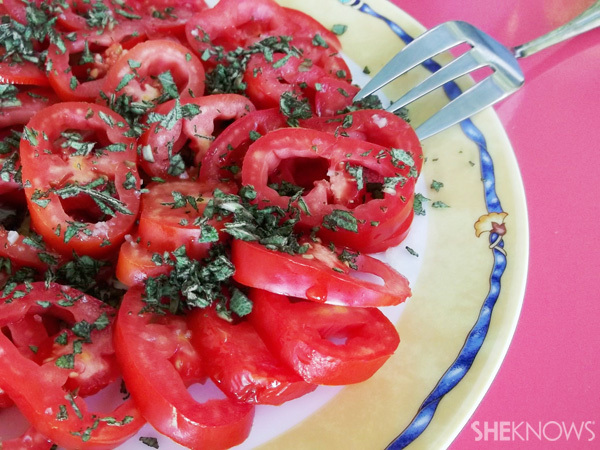 The U.S. contribution to tomato cuisine? Joseph Campbell’s canned condensed tomato soup in 1870, Henry John Heinz’s ketchup in 1876 and the Italian-American “Sunday gravy,” a rich meat sauce made with tomatoes and tomato paste that evolved from Italian immigrant home cooking. Tomatoes are also rich in carotenoids, such as lutein, beta-carotene and zeaxanthin, flavonoids including kaempferol and quercetin, and 9-oxo-octadecadienoic acid, which can help lower triglycerides. Lycopene is the “star” antioxidant carotenoid that helps give tomatoes and some fruits their red color (e.g., red bell peppers, red carrots and watermelon). Lycopene is widely recognized for its protective effects against cancer, particularly prostate cancer in men. Tomatoes can also help fight oxidative damage that causes heart disease and bone loss (osteoporosis). 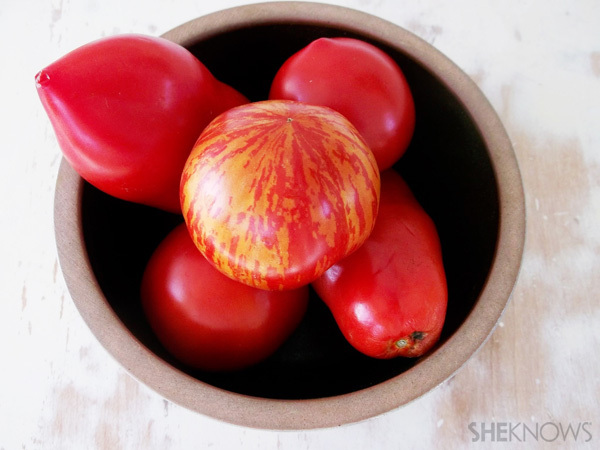 Cooked tomatoes ensure a higher amount of lycopene, and also make lycopene more available for the body to absorb. And eating tomatoes cooked with olive oil greatly boosts the absorption of lycopene and antioxidants, according to a study published in the Asia Pacific Journal of Clinical Nutrition. A tomato-rich diet may help protect at-risk postmenopausal women from breast cancer, according to new research published in the Journal of Clinical Endocrinology & Metabolism. Breast cancer risk rises in postmenopausal women as the body mass index climbs. The study tracked women who ate tomato products containing at least 25 mg of lycopene, every day over a period of 10 weeks. Eating a diet high in tomatoes had a positive effect on participants’ levels of adiponectin (a hormone that regulates fat and blood sugar metabolism), which rose 9 percent. The effect was even stronger in women who had a lower body mass index. Women who maintained a healthy weight benefitted even more from consuming a tomato-rich diet, demonstrating the importance of preventing obesity. Though University of Portsmouth researchers emphasize that more testing needs to be done, their study, published in the British Journal of Nutrition, showed that lycopene in a carefully controlled laboratory setting slowed the growth of, or even killed, prostate cancer cells. If you want more antioxidants and more vitamin C in your tomatoes, buy organically grown tomatoes. A study conducted at the University of Barcelona shows that organic tomatoes contain higher levels of phenolic compounds (natural oxidants of plant origin) than conventionally grown tomatoes do. Why? Because nitrogenous fertilizer is not used in organic farming, tomato plants will then respond to stress, such as environmental threats, by activating their own defense mechanism, thereby increasing the level of all antioxidants (which have many health benefits when humans consume them). According to research published in PLOS ONE, this increased stress level in organically grown plants also explains why organic tomatoes have higher levels of sugar, vitamin C and lycopene. At the height of tomato season, I am in full-on tomato mode, especially at local farmers’ markets, where I’m drawn to organically grown, field and heirloom varieties, like speckled Roman and chocolate stripe. Out of season, I enjoy canned organic tomatoes with regularity. My favorite brand is Bionaturae organic strained tomatoes, packaged in a glass jar. Happily, the lining of their canned organic tomato products are BPA-free (bisphenol-A is an endocrine-disrupting chemical). Unlike other canned tomato brands, Bionaturae does not add calcium chloride or excessive sodium to their canned tomatoes. When cooking tomatoes, which are highly acidic, avoid using aluminum pots or pans, which can leach aluminum into the food; instead, use enamelware or stainless steel cookware.